Note: This does not affect group/employer coverage or medicare coverage. Two of four insurers will no longer sell Obamacare plans in Indiana. The two remaining carriers in the Indiana individual health insurance market for 2019 will be CareSource and Ambetter/MHS/Centene/Celtic. Both carriers will only offer limited access HMO plans with narrow networks of doctors and hospitals. Early intel shows that Ambetter will have an H.S.A. approved policy available, which is a big deal for clients who wish to leverage the H.S.A. tax advantages. 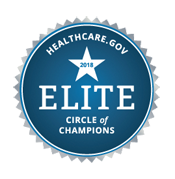 In most situations, we will gravitate towards Ambetter as the recommendation for our clients who choose (or are forced to) stay on an individual ACA compliant plan for 2018. CareSource has historically used a smaller network of providers and their complaint ratios with the Department of Insurance (DOI) are the highest on the DOI’s Complaint Index for 2018. Starting in 2018 Anthem Indiana will only be offering off-exchange plans in Benton, Newton, White, Jasper and Warren counties. This does not affect group or medicare. If you are currently on an Anthem plan, you will likely need to switch to a new plan. You can always sign up for free and use our plan finder to find every plan available in your area, on or off the exchange, as well as find what plans accept your doctors and hospitals, but you won’t be able to enroll till Nov 1st.